Pandemic! What a great and powerful word to awaken humanity to the fact that the collective is now thinking globally and acting locally. 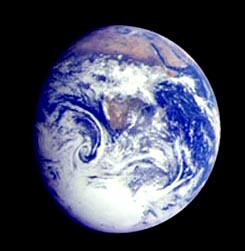 It is remarkable that something as simple as the fear of a little germ can link together the people of Earth. Humanity has taken another step toward being a global community. There is no doubt now that you have anchored within your consciousness the reality that you are all connected, interdependent and recognize the importance of being self-responsible. This is not a time to fear. It is a time to celebrate. Your collective experience and explorations living in the third dimension have come full circle. This is a time where you will begin to rethink and renegotiate everything. Much of what you knew to be true you will discover is out of date. Realities that you dreamed about you will soon discover is the new reality you are now entering. These current times are causing a spiritual pandemic. This means that the boundaries between physical realities, cultures, religions, dimensions, social statuses and educational levels have been compromised and are breaking down. This spiritual pandemic means the entire world is waking up. Humanity is moving toward unity and oneness with all living beings of Earth. This spiritual pandemic will naturally evolve all life into a global community. Our actions will be a grand orchestrated collaboration focused on the well being of all living things. You can see symptoms of this transformation in every direction of your reality. This is the completion of ancient prophecy that you wrote about a long time ago. The pandemics in your Earth's environment, your economic systems, your political systems, your consciousness, your physical realities and even your immune systems are morphing right before your eyes. You are now having a full on experience of what we like to call the Earth's stimulus package. You share the same planet . . . you breathe the same air . . . you even share the same viruses and bacteria! This is not new. You were never separate from each other. You just forgot you were always connected to all that lives. The Earth's shifting environment is stimulating you to change the way you interact with Earth, the solar system, and the universe. This is showing up as the acceleration of using green technologies . . . including using solar power to recycling. Many of you are getting closer and in touch with Earth once again. Your gardens are sprouting in your environment, but also your internal gardens are flourishing. Your shifting global economic system is impelling you to move toward one that is based on service and sharing. You will see a huge shift in values. You are evolving from a self-centered "What is in it for Me?" mentality, into a reality that you act from the knowing that you are a part of a global community. You recognize that everything you do affects every other living thing. These times are compelling you to trust spirit over your physical and monetary assets. You were never meant to trust that which is outside of yourself. Your true nature is knowing that you are a 100%, self-contained, creative being with all the tools needed to live abundantly. It was never your destiny to toil to make a living. There is freedom right out in front of you. Your physical body is morphing so quickly to the arrival of the new energy that you have to let go and let it be. This is causing you a lot of strange physical symptoms. The shifts are coming without delay and it takes your breath away. Even your immune system is evolving quickly so as to be able to adapt to the evolving energy of all life on the planet. Every single living thing in your environment is changing on a molecular level. From your body, to the earth, trees and plants, minerals, even viruses and bacteria are all evolving together to stay in harmony. This is not something to be feared. It is something to be excited about. Remember your body is an amazing self-healing vehicle. You constantly underestimate its regenerative power and forget it is evolving with everything else on this Earth. Disease is not why you drop your body to move on; it is just your human excuse. You leave this world when you have completed your mission and that is it. Let us remind you that you are not done yet! Your consciousness is expanding to accept the utter vastness of magical and powerful new realities. You are beginning to live within these realities. You are enjoying the challenges and wholeheartedly except the huge void of unqualified energy out in front of you. It is an exciting, fascinating and highly creative time for you. It can also be a confusing time as you let go of the old and bring in the new all at the same time. Remember you are not going crazy . . . you are just waking up! This is something to celebrate. You are beginning to realize that the only way your life flows in these days is to be truly authentic to yourself and true to your heart. Many of you will be asked to make bold moves in your life. Others will stay more behind-the-scenes fine-tuning everything around them. You all are working toward the same goal . . . if you know it or not. Do not let fear rob you of this incredible moment. This is why you came to Earth at this time. You are experiencing a huge evolutionary leap of the soul. Only the brave and courageous could be here at this time. You may not feel brave today, but we assure you, you are incredibly brave to take on and assist with the Earth's final step into oneness with the solar system and our multi-dimensional universe. Do not let fear of global health issues, political unrest, economic challenges, war and terrorism stop you from being the truth of who you are. Your old, outdated, human nature naturally wants to cast blame on others for what is going on in your world today. This is not a conspiracy or diabolical plan by members of an elite group who we think are in power. This is propaganda that puts you in fear. Know that everything that is happening on this planet is happening because you allowed it to be so. It is a time to take full responsibility for the reality we have manifested in this dimension. Each living being will experience this evolution based on their own belief system. Ask yourself "What do you believe today?" All the issues your world is facing right now are just part of the Earth's stimulus package to help you stimulate your evolution . . . and it is working. Evolution is a messy process. It always has been and always will be. Change and evolution is about tearing down the old and creating the new. Nature does this every moment. We do not know why humanity forgot that you are a part of this. But you did, and this is why you struggle and suffer sometimes during evolutionary pulses like the one you are in today. 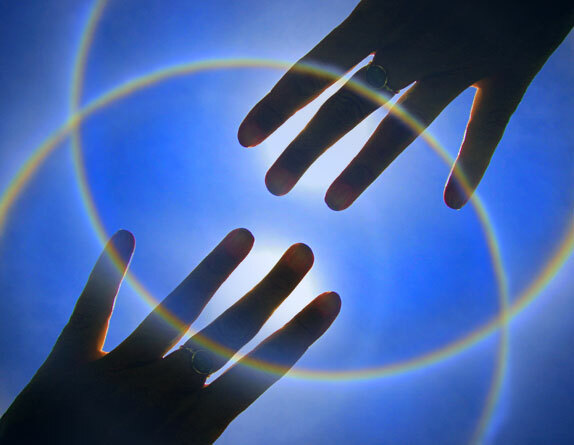 The cycles have come full circle and you are ready for the quantum leap to a new reality. Remember that the best defense to the challenges of these times is to have a good offense. Your offense is acting from the authenticity of who you are. You may know this as your inner light, awareness, consciousness, etc. . . , but the fact is that there are only two choices you can make: You can choose fear, which is a lie and not who you are. Or you can choose LOVE, which is the truth of who you are, and you can keep on keeping on with the evolution. Fear will stop your evolution in its tracks. Love will not only accelerate your path, but it will make it an exciting adventure for you. Be positive, fearless and bold. Love is the unifier of all life and a protector of anything that you conceive could cause you harm. You are safe . . . you always have been. Quit pretending your cool and calm on the outside, when on the inside you feel like you are going crazy. Let your support groups around you know what you are going through. We assure you that they are feeling the same things. It is insane to execute this evolving by yourself. There is a great sanity gained when our extended families come together in support of each other. It is another step toward global community and living in non-judgment. Remember there is an insidious, un-spoken rule that to be spiritual we must honey-coat the things we do not like. Honey-coating any part of the experience of this world is just a way to avoid the blessings and gifts of evolution of the current issue. When we avoid different aspects of our experience, we are also judging the greater divine plan that was set into motion by the Creator and our collective consciousness. When you experience a peaceful moment, drink it in and enjoy every second of it. Do not worry that you are feeling stuck or not evolving. This is merely a rest stop so you can recharge and prepare for another leap into the next reality. Rest is good. Enjoy its rare and welcomed appearance of quiet and calmness. There are many that will not like this message. They will criticize it and fight against it. These are the ones who teach us compassion. These are the ones that we must love and support . . . because you have been in their shoes more than once or twice yourself. We realize that what we are asking you to do is a huge step of faith. We are asking you to take a leap into a void where you cannot see its destination. We encourage you to put your fear addictions behind you, and to begin to act from the love and truth that you already know in your heart. If you do this, the path will unfold in front of you with each step you take, and you will be traveling in good company! We are always here with you.